CULTURE: Needs good bed preparation, good drainage and mulch for establishment. Keep trimmed from windows, eaves and the canopy of trees. Plant used as groundcover should be trimmed back in late winter/early spring just like all groundcovers but with more care. ‘Needlepoint’ and ‘Hahns’ ivy are smaller leafed cultivars. ‘Wilsoni’ is a crinkled leaf choice. Native to Europe, Asia and Africa. 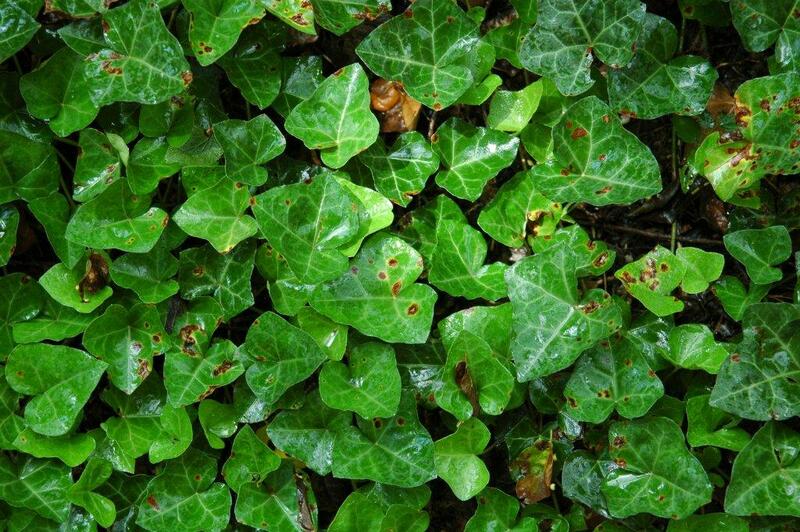 Persian ivy Hedra colchica is an excellent ground cover with large leaves. Zones 4 - 8.